Honda Motorcycles - FireBlades.org > General Motorcycling > General Discussion > It begins....again! 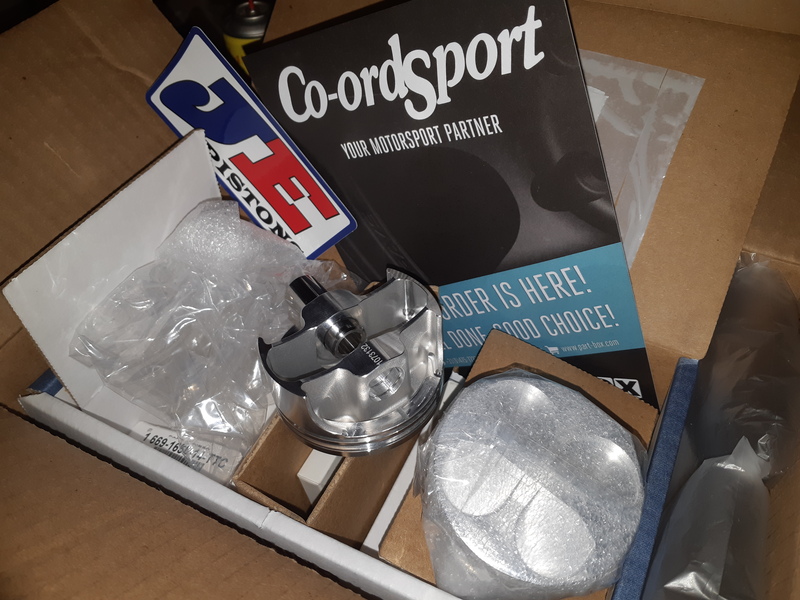 Got 75mm JEpistons ordered for my 929, and a place in Germany that can properly bore and hone alusil on the 929 block. For 500 euro! 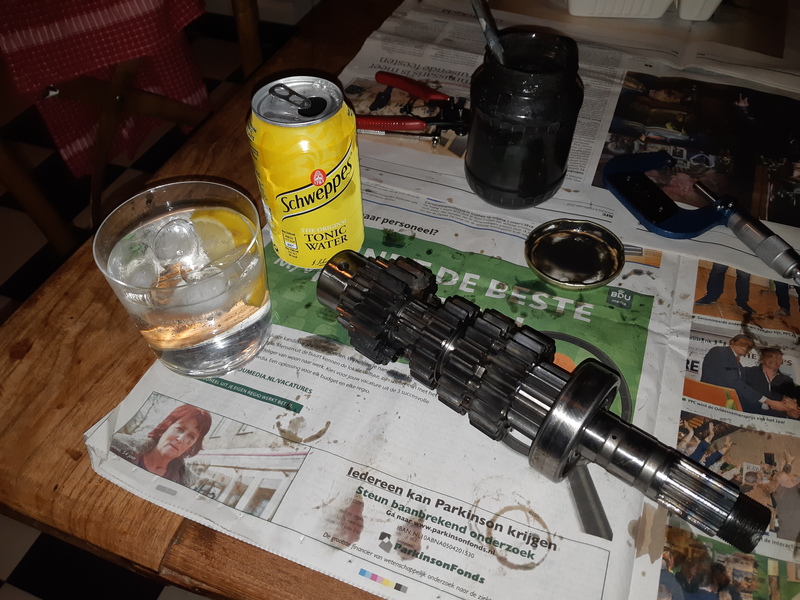 Just now sorting out crankshaft bearings, and after much measuring and chin-stroking it seems I might need a couple of size A main bearing shells, which are not listed in the normal parts fiche. These would be color code black I guess, with part number 13313-MWO-003. Does anyone know if they exist? There are quite a few sets listed on eBay (UK) and David Silver Spares has them in stock. unslow1, IanDoohan, BenelliBlade and 2 others like this. exuptoy, IanDoohan and MrPickwick like this. I was young and stupid then. I'm old and stupid now. I started off with nothing and still have most of it left. just thinking about breaking the bike in after rebuild, and think I'll go the radical route, i.e. use 10-50mineral oil and change it after the first 20 miles, and continue with that oil for another 1000miles or so, then switch to synthetic. I'll use 3/4 throttle now and then, and full engine braking, keeping to the less-populated roads where I can give it bursts of power, keeping the maximum revs to at least 1500rpm under the limit. After the first 20 miles and an oil change, gradually increase the duration and power of the bursts over the next 500 miles , then it should be job done. Opinions? Our values in the table represent a percentage of fuel change relative to injector pulse width. A value of 0 means that the bike will run exactly as stock, no power commander. On a normal bike with 4 injectors if you were to put a value of 10 in the cell it would run about 10% richer. A value of -10 would be 10% leaner than stock. Now you have an 8 injector bike so this goes out the window. It is still 10% richer or leaner but NOT on the overall fuel curve, just on that set of injectors. Basically, don't worry about the science behind it just know that a negative value is taking fuel away from the stock curve and a positive is adding fuel on top of the stock fuel curve. If you are using a map that is close to your setup and you have to change the values more than 15 then something is going on. Also if the bike was running so lean as to cause engine damage it would be running horrible and hopefully you would stop riding the bike in that state. If it pulls clean to redline with no stumbles or hiccups you are in the ballpark. More fuel does NOT mean more power. There are many bikes out there that come way too rich from the factory and we lean them out across the board to gain power. Looks like this is falling on stony ground but I'll continue a little longer. 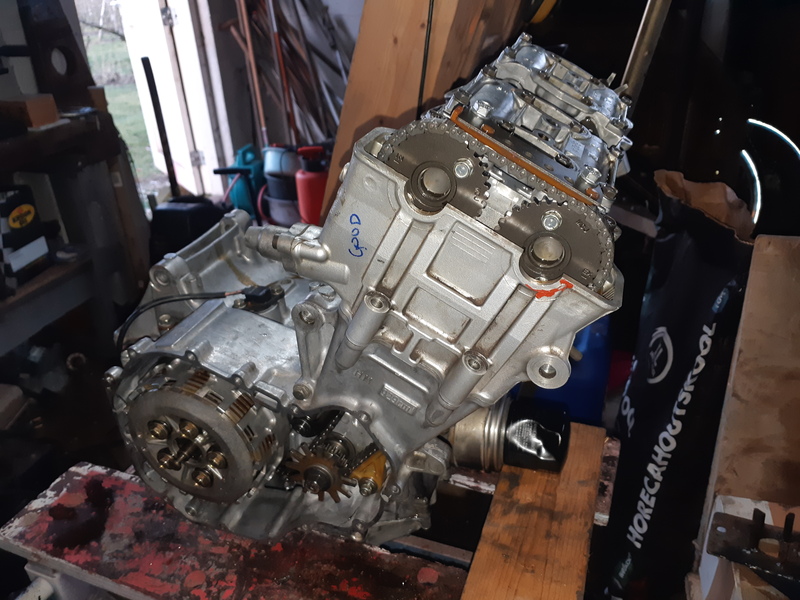 Now checking the state of the gearbox from the original engine. Bit the bullet and took it down to component level and measured all the dimensions specified in the manual. Hardly any wear at all. Thanks Honda. macca9540 and IanDoohan like this. G"day oldbastard, so what size is the 929 going to be now? Just curious. 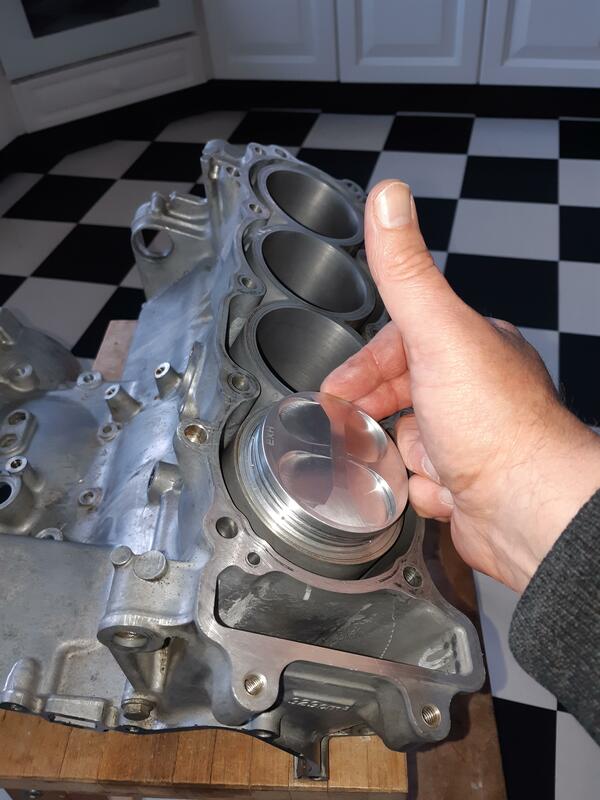 75mm pistons are 1mm over, and should get him around 970cc or thereabouts. I wouldn't say no to 970, but in my reckoning 929*75^2/74^2=954. But progress being made.